Welcome to the Plymouth House. 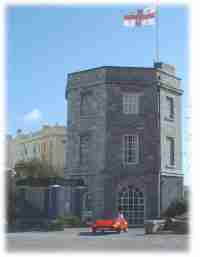 This site contains the History of the Plymouth Lifeboat Station, the property, the historic changes and future aims. This site is not the Plymouth Life Boat Station. 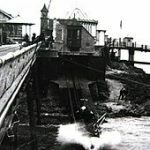 We are a historic property website which seeks to document and learn about historic properties used by lifeboats throughout the United Kingdom. 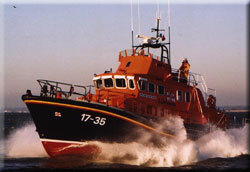 If you’re looking for the RNLI please visit their website. Please also visit the site regularly for details of the latest Lifeboat launches and for information concerning future fund raising events. 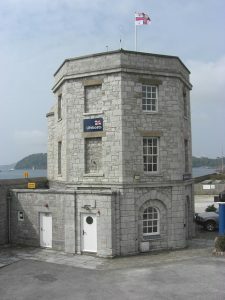 Being one of the first historic lifeboat stations, Plymouth’s building was located on the perfect spot to assist people in distress. The property received the 31st boat engineered and built by Henry Greathead of South Shields, who created many of the countries great constructions. He was stationed at South Shields in 1789 with 1803 being the date the first boat was delivered to the property. Funded by a donation from Philip Langmead, a local MP, she was used for 15 years. The RNLI was found some 20 years later in 1824 to combine all the lifeboat stations into one organisation. The historic building was closed between 1840 and 1862 and has since received extensive refurbishment due to its importance as a local station. Front aspect of the building. Side aspect of the station. This latest design of lifeboat is based at the City’s Millbay Marina off West Hoe Road. Manufactured from fibre reinforced composite, with a length of 17m (55ft 9in) and beam of 5.9m (19ft 3in) the Severn class is the largest of the RNLI fleet and displaces 41 tonnes.Powered by two 1,300 horse power Caterpillar V12 engines, the self-righting boat has a maximum speed of 25 knots and a range of 250 nautical miles.The boat is designed to meet the RNLI commitment to reach any point 50 miles off shore within 2.5 hours. She is fitted with state of the art navigation, and communications equipment which is used by the crew to quickly locate casualties. She carries a Y class inflatable with an outboard motor, which is launched and recovered by using a hydraulic arm. 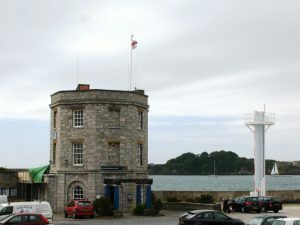 Creative Commons: Plymouth Property images and some content was taken from www.propertycashbuyers.com and youtube.com and are used in non-commercial purposes to help made information about our property more useful.